Kellyn: As I’m very multi-platform, I think the answer depends on the platform, the technology and the business you work for. The Oracle cloud isn’t as mature as Amazon or Azure and still needs more time to catch up. I know of Fortran developers that are doing just fine managing what is left still in play.With the amount of Oracle DBAs retiring and those that will remain to work on-premises, the newer ones can manage those going to the cloud. Applications can transition to the cloud more easily and readily than home-grown or multi-tier systems. Do I think those DBAs updating their skills will be more in demand and have an increase in salaries vs. those on-premises? Yes, absolutely. Azure is making it easier for DBAs to transition to become adept in cloud database management and they’ve continued to have a focus on DBAs, not just taken the easy route of aiming all enablement towards development. Kellyn: No, the role may change a bit, but it will always be. As we improve the optimizer performance and database technology, there will always be those environments that require “a human touch” of the expert. There is a company that I spoke to a couple months ago, that has shifted 30% of their business to auditing cloud deployments. Of those audits, over 80% of them aren’t viable and must rebuilt from the ground up. Almost every one is because they didn’t have the database, the security and administration expertise to build the cloud deployment out in the first place. The project thought they could speed up deployment by bypassing DBAs and others, but instead, discovered catastrophic flaws due to this choice. There is a reason for the gatekeepers in technology. 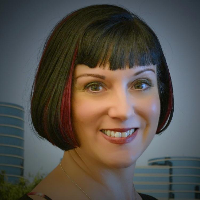 DBAs with expertise in optimization, automation and security practices will continue to be in high demand for the long haul..
Kellyn: I’ve only become a part of the SQL Server community in the last year, having been a long time contributor for Oracle. I would have to say, becoming an Idera ACE and becoming president of the Denver SQL Server User Group. This is a great group of volunteers on the board and I hope that I can serve as president in a way that they can continue to do greater. Kellyn: I’ve had the great pleasure of working and being taught by some of the best in the business, but as SQL Server DBAs, it’s time to learn Linux. Kellyn: I have a very unique view on this topic. I started out very multi-platform and then worked for two companies, (Oracle one of them) where I went in deep. I believe in a little of both due to this. Pick something that inspires you in a primary technology and then widen your knowledge in other areas. As you learn about different technologies, it can make you better at the one you are passionate about. My answer is a mile wide and an inch deep except in those that you become passionate about. For those, dive, dive! !